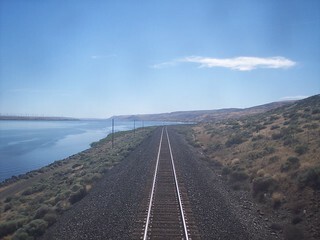 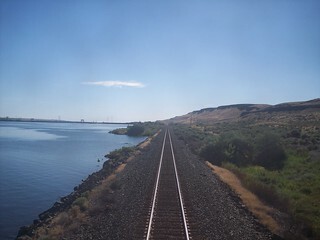 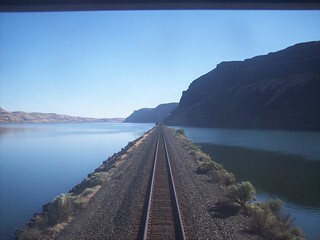 After leaving the Pasco station the Empire Builder heads across the Columbia River. 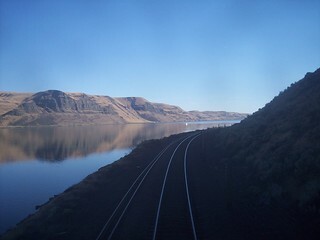 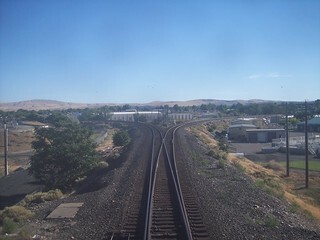 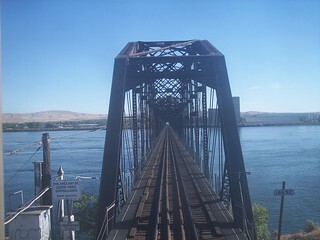 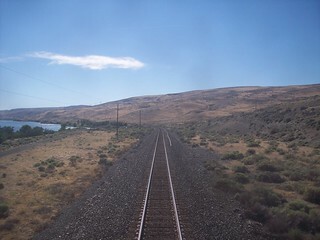 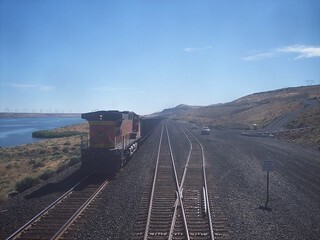 We head to the left, following the Columbia River toward the coast. 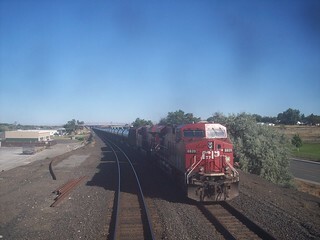 A Canadian Pacific freight waits for the Empire Builder to pass. 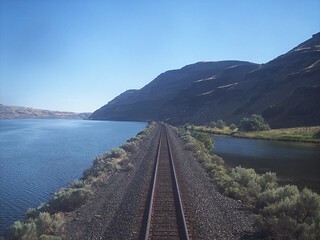 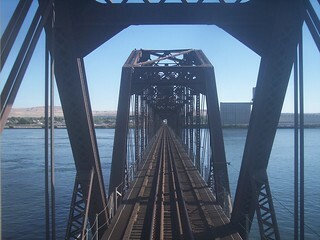 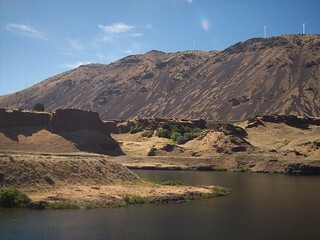 We ride along an especially wide section of the Columbia River as we get closer to Oregon. 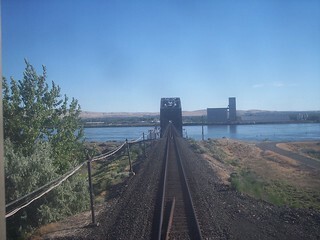 A BNSF freight waits while we pass.